What America Needs in 2017 is more Baseball Related Holidays. 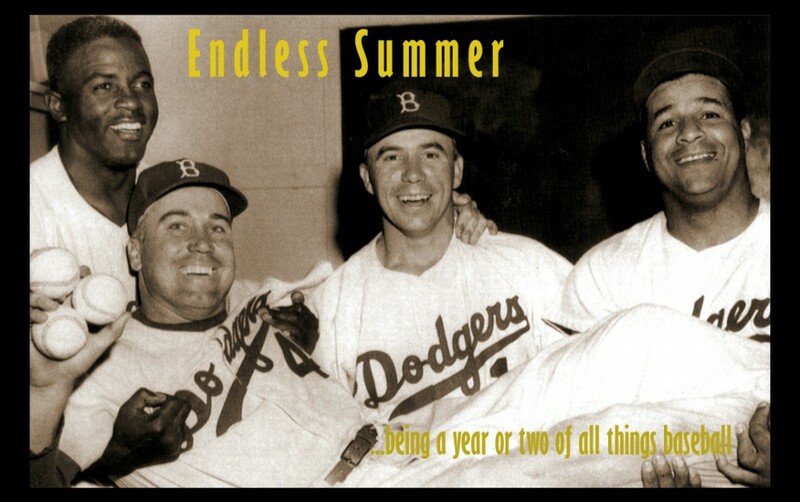 There’s a lot of other things America needs, but I think Baseball Holidays is an achievable goal. Say, for instance, when the hell are we going to start celebrating Larry Doby Day. 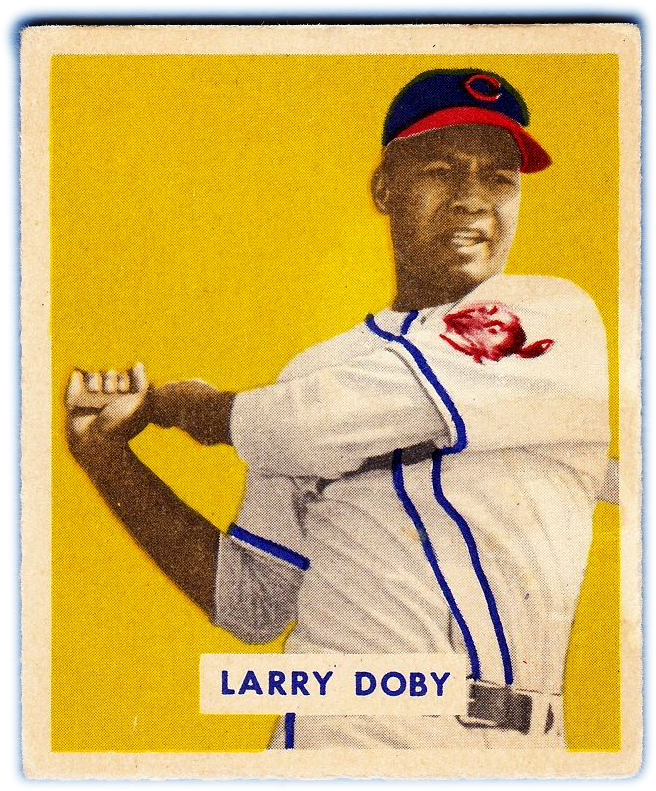 Major League Baseball was not integrated until Larry Doby got the job done. And it wasn’t any easier in the American League. So: Larry Doby Day. That’s July 5th, by the way. Let’s make a little noise for Larry on that day. Wednesday. It’s the Twins vs the Northern Part of Southern California Centering on the Greater Los Angeles Metropolitan Statistical Area Angels of Anaheim and Proximous Suburbs. The Twins drop another tough one last night, 2-1, and again fall a game out of first. They jump into a quick lead today, but True Twins fans know that early leads are never secure, and the ball game isn’t over till it’s over, and pride cometh before the fall. Pressly took the loss, yesterday, gave up the go-ahead homer in the 7th. I need to do a bit of research on these 2017 Twins. I have to admit, I kind of lost track of things last year, and now I find that there’s quite a few names on the team that really don’t sound familiar. For a team that didn’t really make a lot of moves in the winter, there seems like a lot of new names. Though it wouldn’t surprise me too much if some of the guys on last year’s team just changed their names so as to start fresh with a new life and a clean slate. Probably a good choice for some of them. Some might be thinking of me now as a fair-weather fan, but no no no, I don’t think that’s the case. I think last year it was simply a matter of self-preservation. It’s not that I don’t care, it’s that I care too much. Well, that’s my story, and I’m sticking with it. I was also thinking that I might need to find a team to root for over in the National League, now that the Cubbies are the best team in baseball. I don’t feel honest, rooting for the top dog. I relate more to someone with limited talent but good intentions. 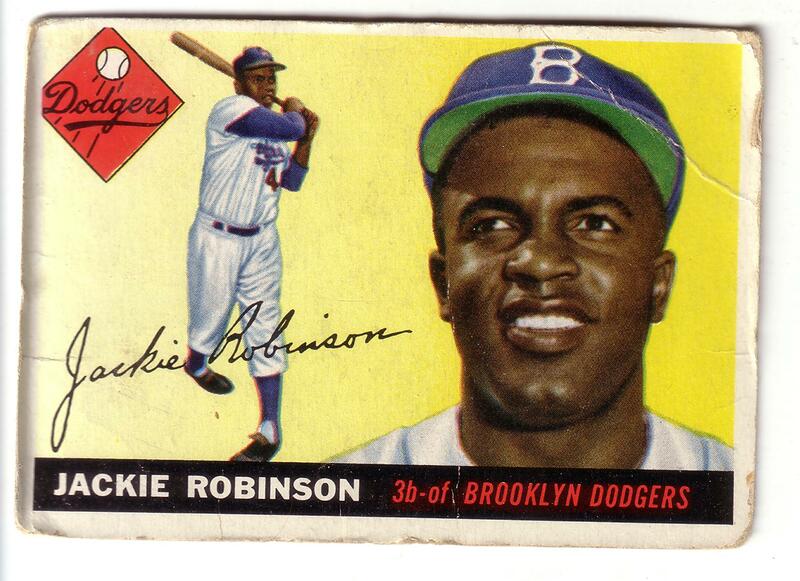 Two possibilities are the Washington Senators er, Nationals. Seems like we are kind of related to them. And then there’s the Giants, who almost moved here back in the day. Could have been the Twin Cities Giants? The Minneapolis Giants? The Giants and the Nationals are a bit too good to really root for. So maybe the Braves, who had a terrible season last year, and who aren’t the Reds or the Padres, who were similarly terrible but who are the Reds and the Padres. Or perhaps the Phillies, because who roots for the Phils? Obviously, more thought is required on this. Safe to say that the Nats and the Giants and the Reds and the Padres are not in contention for the honor. And a stray tangentially-related thought: can we finally get rid of the designated hitter now? Haven’t we given it a fair trial? I am pretty sure that it was suppose to be a three-month deal! A test case. I’m pretty sure that’s how it was presented. I’m going to check on that. But anyway, here it is, 44 years later now, and we’re still doing this? Yeesh. But it’s only the 8th inning. Plenty of outs left to play. Update: It’s over. Twins win. A pretty nice day for Mr. Santana. Doesn’t get a whole lot better than that. A one-out single in the third, to catcher Omar Narvaez.